This year is not the first time that AT&T ranked last in the Annual Cell Service Provider Survey, as the carrier has struggled for years with poor consumer perception in the face of coverage woes. Last year, the survey similarly found that AT&T fared poorly across the board, earning the worst possible score in all categories related to value, service and customer support, except for the "texting" service category. Verizon maintained its place atop the big four U.S. carriers this year, though the nation's largest wireless provider was followed closely in the rankings by Sprint. Both Verizon and Sprint began offering Apple's iPhone, ending a years-long exclusive arrangement between Apple and AT&T. Coming in third in the Consumer Reports rankings was T-Mobile, which was said to have rated "significantly better" than fourth-place AT&T. Earlier this year, AT&T announced an agreement to acquire T-Mobile for $39 billion, but AT&T withdrew its application to the Federal Communications Commission after the deal faced antitrust scrutiny. "Our survey indicates that subscribers to prepaid and smaller standard-service providers are happiest overall with their cell-phone service," said Paul Reynolds, electronics editor for Consumer Reports. "However, these carriers arent for everyone. Some are only regional, and prepaid carriers tend to offer few or no smart phones. The major carriers are still leading options for many consumers, and we found they ranged widely in how well they satisfied their customers." The Consumer Reports poll was based on a survey of more than 66,000 subscribers about their service and customer support experience with U.S. wireless carriers. The full report, available in the January 2012 issue of the consumer advocacy group's magazine, has carrier ratings for 22 metropolitan markets. 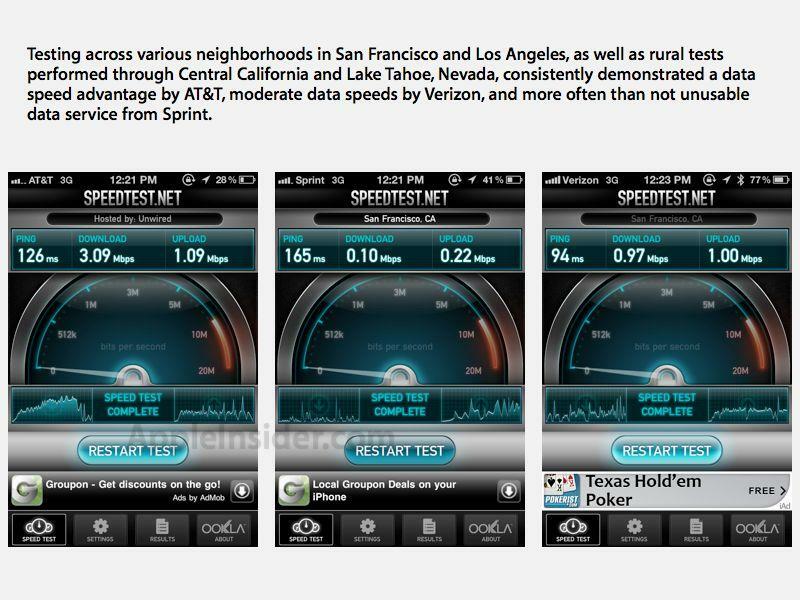 AppleInsider has also offered its own in-depth look at coverage and data speeds using the iPhone 4S on AT&T, Sprint and Verizon. Tests showed that AT&T offered the fastest speeds and Verizon had the best 3G coverage. The tests also demonstrated service issues with Sprint, though that carrier remains the only option in the U.S. for customers who want an iPhone with an unlimited data plan.